Firstly as I wish YASH CHOPRA a very Happy Birthday and am Glad to share my first association with Legendary Yash Chopra which would never even thought of that could come so soon. 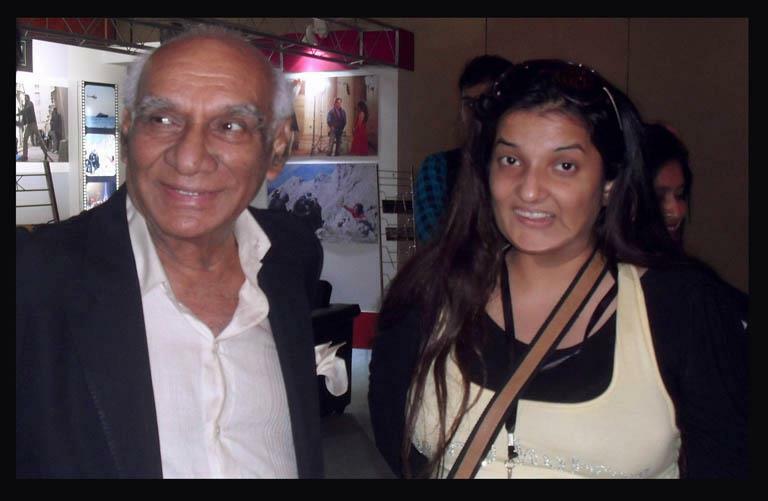 I didn't even dream that my first association with Legendary Yash Chopra will come soon with my very first short film Clean and Green India in 2011. I was just a kid with many ideas , and thought just of portraying it on screen. Also would Like to thanks and special mention to super staff of YRF who made it happen for me, that she called me to Yash Chopra 's fourth floor cabin and had privilege of taking Black coffee with my favorite Yash uncle. Was silent and could not stop listening to Yash Chopra 's movie talks. From then ,So many memories attached , Like my First press show DHOBIGAAT which was initially at Juhu got House full since I reached late. They told to arrange another one , and withing half hour got call" Show has been arranged , Go to YRF studios." . Like it was my First screening , and have to somewhere special from somewhere in the skies.